Personal information provided by you will not be made available to third parties outside of Capital Executive Ltd. without your permission. Your personal information will be used to personalize your experience within Capital Executive Ltd., or for such other purposes as are described at any point when we collect this information from you. Information that personally identifies you will be kept strictly confidential unless you authorize it to be made available, as in the case of career profiles, resumes, or cover letters. "Personal information" is information that can be explicitly used to identify and/or contact you as an individual. This includes information such as your real name, e-mail address, home address, phone numbers, credit card number, banking information etc. Information that by itself cannot be explicitly linked with your "real" identity is not considered personally identifying. On occasion, Capital Executive Ltd. may ask you for personal information such as your name, address, contact information or bank account information. We do this when you register with us or specifically register for services such as payroll or contract payment services that require such information. Users should be aware that when you are on Capital Executive Ltd.'s web site there may appear links to other sites that take you outside our service. These other sites are not affiliated with Capital Executive Ltd. and are merely provided as a potential referral service to users who may require such information. These sites may send their own cookies to users to collect data or solicit personal information. Always be aware of where you end up! The Capital Executive Ltd.'s policy does not extend to anything that is inherent in the operation of the Internet and, therefore, beyond our control and is not to be applied in any manner contrary to applicable law or governmental regulation. When you send us e-mail, we will use your name and e-mail address only to correspond with you. 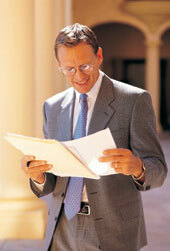 Your e-mail may be shared with appropriate people within the Capital Executive Ltd. for such communication purposes.